Magnatech Travel Management Solutions Inc. develops software to facilitate the day-to-day tasks of corporate travel management companies. Our services reduce the need for IT personnel and deliver the type of accuracy and reliability necessary to meet the challenges and build a profitable business in a very competitive industry. The requirement for accuracy, efficiency and due diligence is of extreme importance to the daily activities of TMCs. Magnatech’s web-based services can be accessed anywhere and anytime and are designed to reduce time, effort and costs while improving productivity. 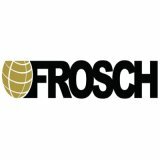 FROSCH has been partnering with Magnatech now for over three years. It has been an amazing relationship. The Unused OnTrack Plus solution is exactly what we needed, and were lacking to provide the End 2 End Customer Experience. Our clients have a high volume of unused tickets and the features Magnatech offers reduces money that would be lost for them, as well as reduces our agency overhead due to manual processes. The support is outstanding. Thank you! I have worked with the Magnatech team for over 4 years now and they have always had a reliable and accessible product. The team has worked with me on multiple custom requests to meet the needs of my clients. I would recommend Magnatech to other TMCs that are looking for a reliable and versatile product to use backed by professional and responsive customer service. With the use of Magnatech unused ticket tracking we have significantly eliminated wastage by having the functionality to visually see and accurately account for tickets held in credit. We have been able to dramatically reduce our workload in the management of unused tickets and reporting. The process of storing and utilizing unused tickets has now become efficient and seamless. 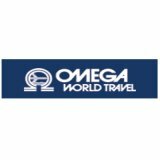 Magnatech has been providing Hess Travel with cutting edge travel tools for over 10 years becoming a pillar of our travel management strategy. 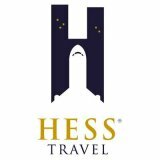 The combination of their Unused Ticket Tracking, SafeToGo Duty of Care and partnership with Booking Builder has given Hess Travel an edge in the marketplace. There have multiple occasions where we’ve had to ask them to tailor solutions for Hess Travel, and consistently they have gone above and beyond to meet our requirements. We trust and rely on Magnatech and consider them an ally in some of the most important facets of our business. 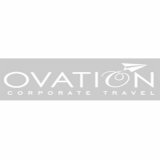 Ovation Corporate Travel Ovation Corporate Travel has been using Magnatech’s unused ticket management for several years and it has vastly improved our process. We have formed a strong partnership that has allowed us to fully automate our Unused Document Tracking. Magnatech has excellent reporting capabilities for both internal and external use and has saved us so much time operationally. Magnatech will work with you to identify your particular requirements. Our team is committed to providing cost-effective solutions that best align with your business objectives. Designed with the corporate travel agent in mind, our turnkey travel management software is at the forefront of this industry’s standards. We will customize the various settings to your specifications, including integrating your branding and logo, in order to provide your travelers with a professional visual and content experience. Whether you seek to transition from an existing system or to implement one from scratch, our team works closely with travel management companies to schedule and ensure a smooth and seamless integration of our services. It is only once you register for one or multiple services that the implementation process begins. Timely and efficient technical support is key to Magnatech’s approach to client service. You can always rely on us either during the implementation process or to help you resolve day-to-day concerns moving forward. Magnatech understands the importance of providing you with leading edge travel management solutions and the timely support that meet your particular needs, while consistently delivering a stress-free implementation from start to finish. We are dedicated to providing a truly unique customer experience. Magnatech has been developing innovative and state of the art travel management software solutions since 1990. For over 25 years, our business has been helping companies like yours manage the flow of information that your clients depend on. Throughout the years, Magnatech’s policy has been to anticipate, listen and respond to the requests, needs and concerns of TMCs around the world. Beyond providing a quick turnaround for the implementation of our travel management software, we will respond in a timely and efficient manner to your requests for assistance, wherever you are located. Magnatech caters to many of the TMCs that make up Travel Weekly’s annual TOP 50 Power List with earnings over $100 Million per year. However big or small, we value all our clients, providing them with the most efficient and timely solution for optimal communication with their clients, from the initial booking process to their journey back home. Software development and technical support are the cornerstone of Magnatech’s activities because they are key to improving your workflow and communication capabilities. Our team of highly experienced programmers and support staff focus on delivering the travel management solution that best suits your needs. Magnatech offers intuitive travel management software designs that are developed to work with your existing data. We continuously strive at improve our services, while keeping in mind the importance of the client experience regarding accelerated user adoption, lower training costs and better scalability. At Magnatech, we take pride in developing software to facilitate the day-to-day tasks of corporate travel management companies. Magnatech’s development team is at the forefront of innovation for travel industry software. We strive to proactively improve our services in order to make your job easier. We take all the necessary measures to achieve a consistently high level of performance that you can count on. We pride ourselves on placing utmost importance on customer satisfaction, every hour of every day. Send us your e-mail to receive our latest news and updates.